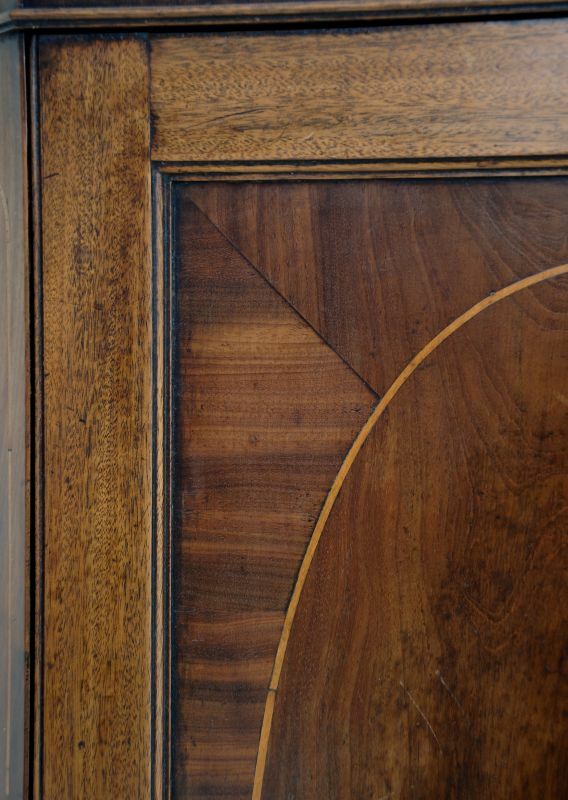 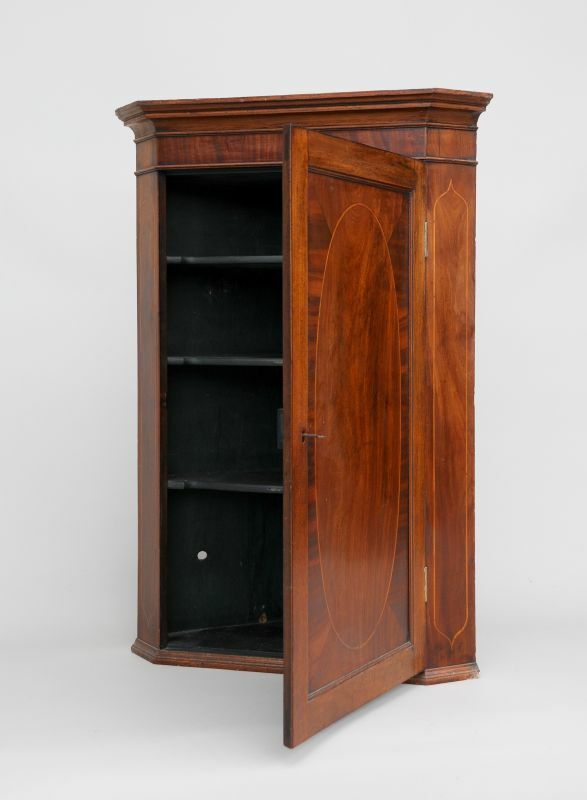 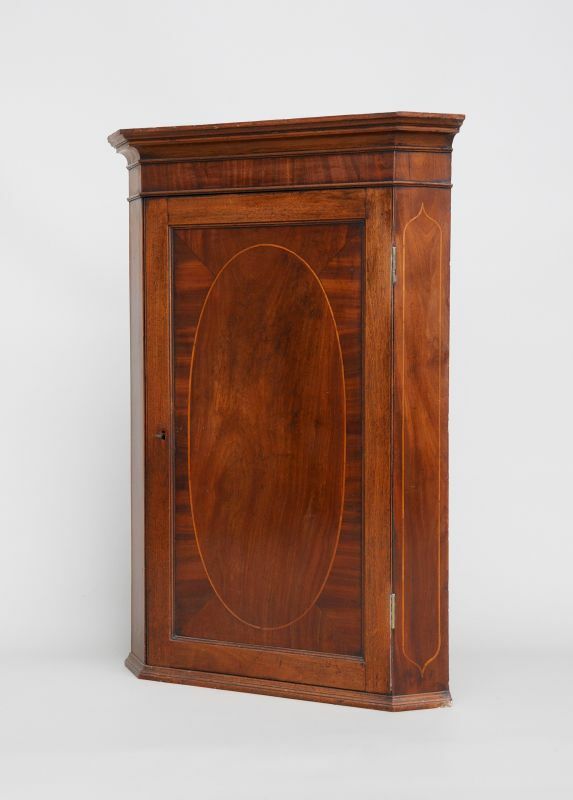 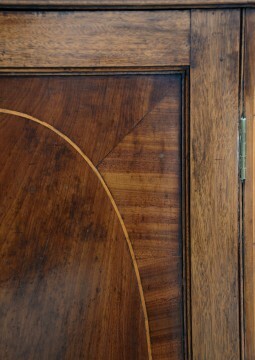 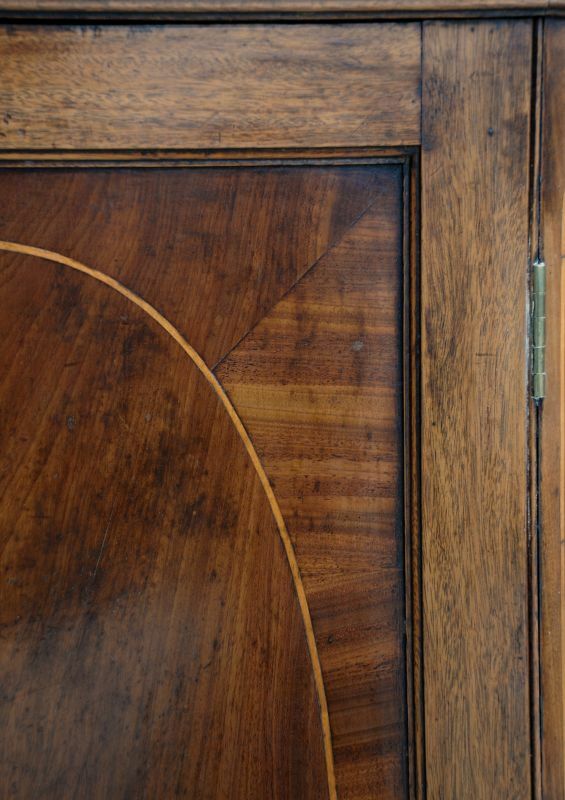 This is an elegant Georgian mahogany corner cabinet, made in about 1790, featuring a front with an oval of figured veneer, bordered with box wood stringing and with a surround of cross banding. 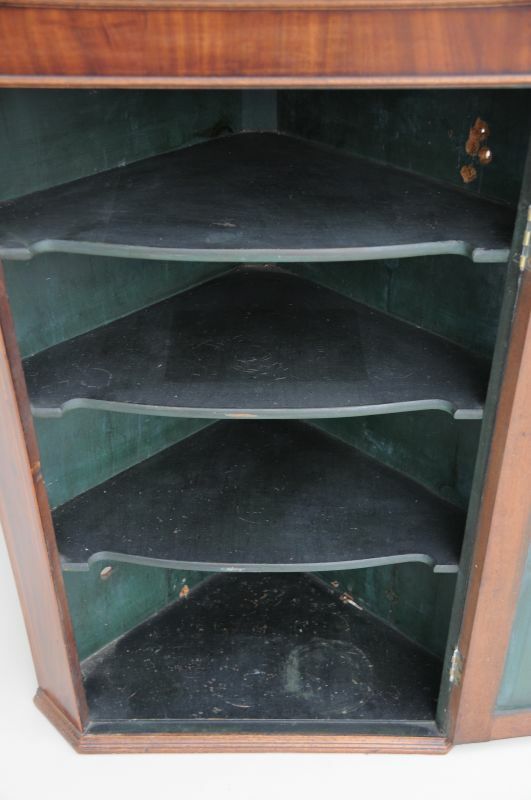 A look inside will show you that it has always been a hanging corner cabinet - it has several holes where it has been fixed to different walls over the years, this is a positive thing to look out for. So often the insides have been repainted, luckily this one still has its original dark green paint the Georgian cabinet makers loved so much. It is all in very good condition. 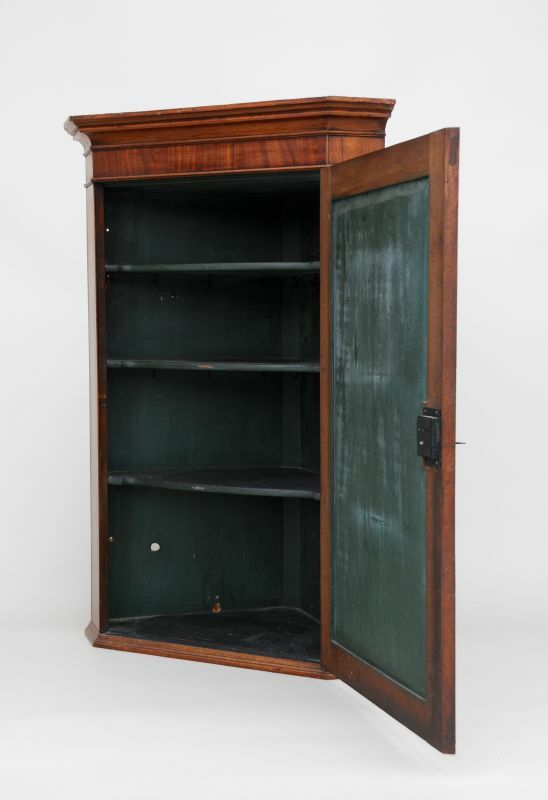 I liked the originality and colour of this corner cupboard so much we had it in our own house for ten years until we moved to a house with fewer corners. The measurements are 75 cm wide, 46 cm deep and 109 cm high. The cupboard comes out along the wall 54 cm.